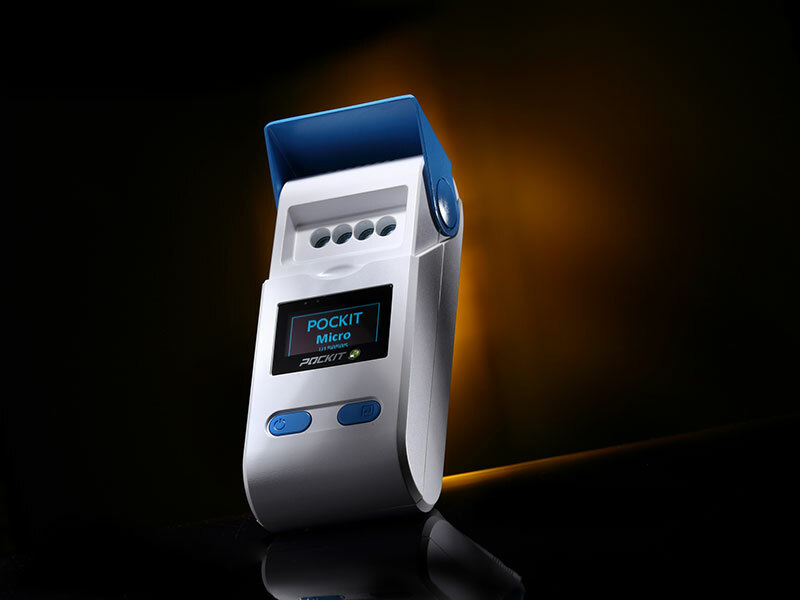 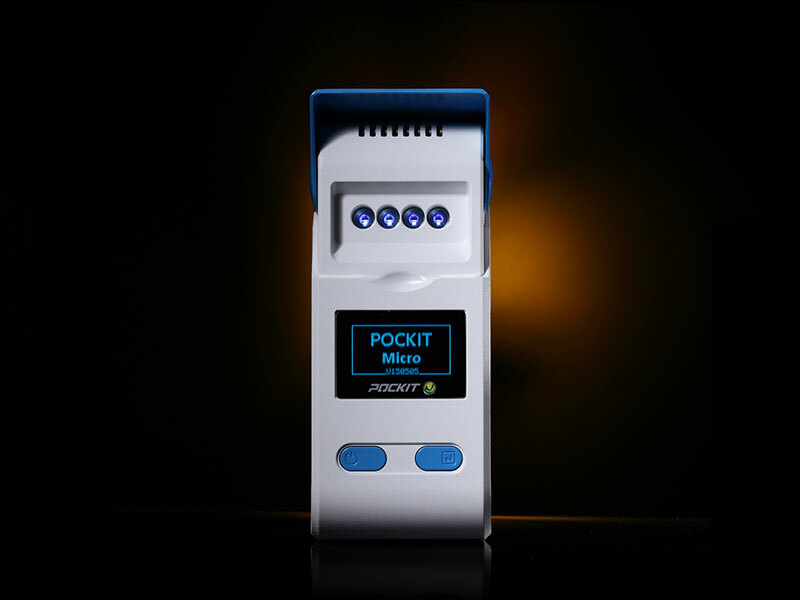 POCKIT™ Micro Series Nucleic Acid Analyzer is the newest generation of the iiPCR detection system, which is light-weighted and hand-held with built-in rechargeable battery. 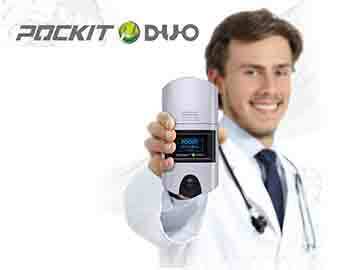 It is easy to operate even by people with laboratory skills, anywhere and anytime. 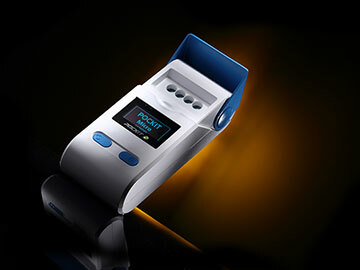 •	Based on insulated isothermal polymerase chain reaction (iiPCR) technology. •	PCR results ready in around 30-45 minutes. 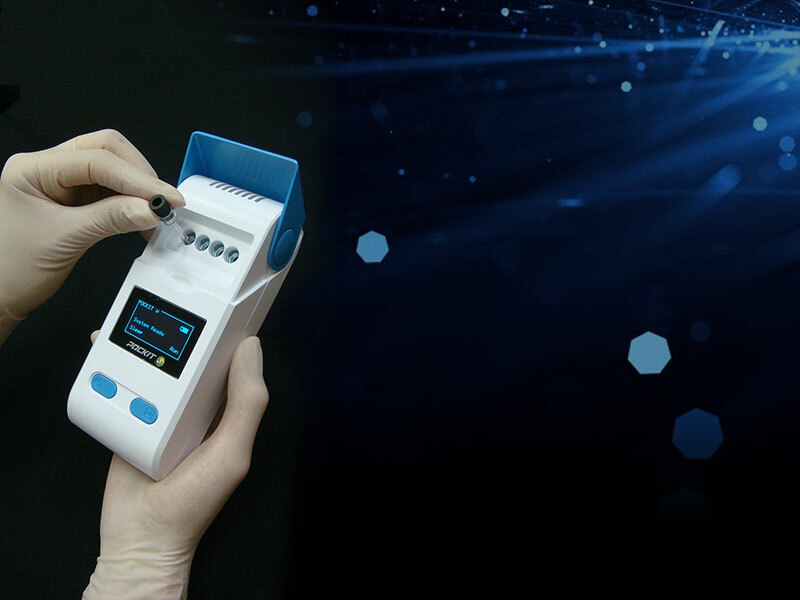 •	Easy to operate － one touch operation using a pre-programmed protocol. 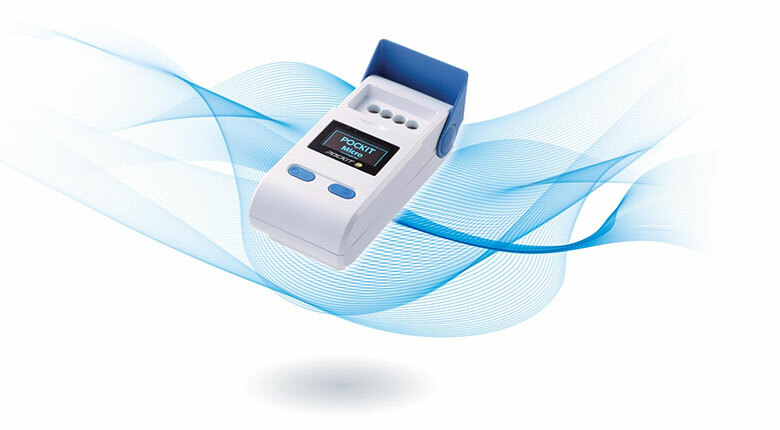 •	Easy to interpret － results directly displayed as positive or negative on screen. 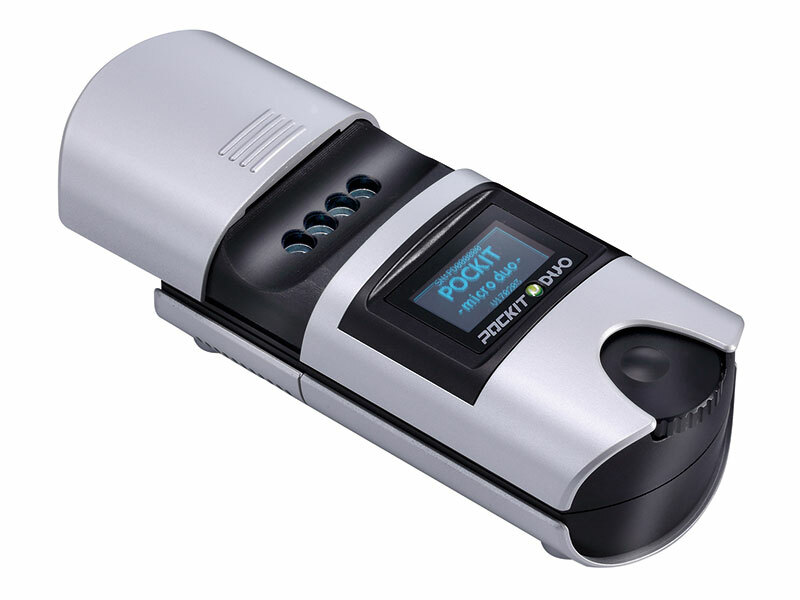 •	Built-in rechargeable lithium battery.